Ever since I got here it's been hot, like really hot. Ok, I know that a lot of people are used to temperatures up in the 90's and above combined with humidity up towards 90%, me? not so much. I am so happy that we bought an AC right when I got here, because I don't think I would have been able to survive otherwise. I like it cool, I love sweater weather, and this is everything but sweater weather. We seem to have these high pressure storms, where the heat is always combined with some sort of rainstorm. Makes it hard to dress for hot temperatures and rain, I am definitely not used to that. W and I got a metrological weather station for Christmas that measures wind speed and direction, barometric pressure, rain accumulation and rate, and humidity and temperature of course. It's been really cool to have it now when we've had these rainstorms to see how much rain we get. Usually it says "it's raining cats and dogs". Madison is about the same latitude as southern France, so for someone who never lived more south than say the southern part of Canada (cause that is right about where the latitude of Cranfield in UK is, and of course, Stockholm Sweden which is approximately southern part of Alaska, and then of course, Fairbanks Alaska, Madison is far far south. Fairbanks do get hot in the summertime, I mean, we've had weather up in the 90's before, but generally that doesn't last very long, and it's usually very dry, so not the same type of heat that we experience here. I only had one pair of shorts when I moved here, yeah one pair, a climbing pair. Well, and one pair of running shorts. But as you can understand I went shopping for more after a few weeks in this heat. Best money spent in a long time, and I came home with 6 different pairs of shorts. As I have mentioned earlier Madison lays in (on?) an Isthmus, and we have two lakes on either side, Monona and Mendota. We usually swim in Monona, and while it is definitely not clear, it has been semi OK. Yesterday I biked by the lake and eek what a smell, I was just thinking on the bike ride that it would be nice to maybe go for a swim. But that smell, not fresh lake smell, but yeah, algae. There were people over there swimming and having fun in the water, but I don't know, I am a little skeptic. 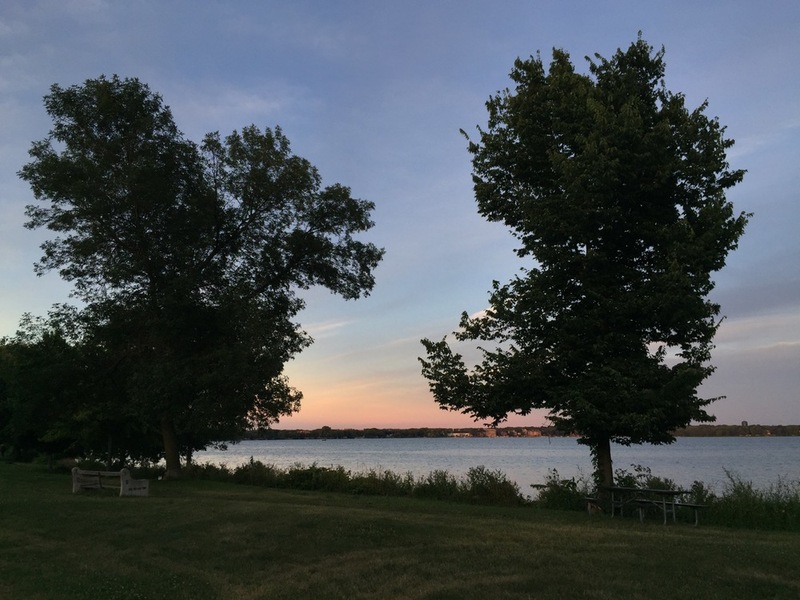 The first three pictures below are of Lake Monona and the fourth one is Lake Mendota. 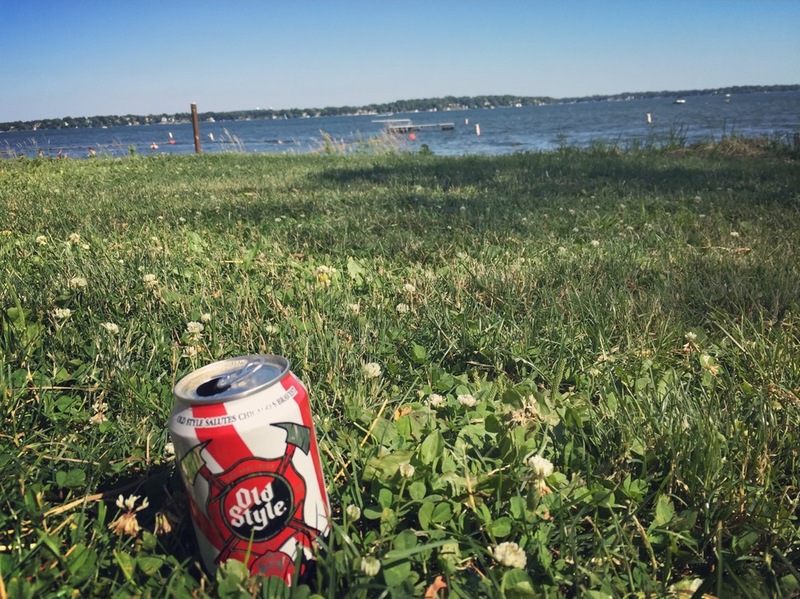 Posted on July 24, 2016 by Ann Rumbleinthearctic and filed under Madison Life, Wisconsin and tagged Summer Madison hot summer Photography with Iphone culture latitude summer days storm summer storm Biking Lake Monona Swimming Bathing rainstorm regnstorm raining utlandssvensk Wisconsin Weather 2016.